These classic Muskoka chairs are a must if your new home reminds you of cottage country. These oversized chairs offer a great balance between comfort and style, permitting you to sacrifice neither. Accessorized with flowers and printed toss cushions is a great way to bring colour and charm to these already inviting chairs. Using fabric colours which match your new homes’ exterior provides harmony and balance to your front porch. Flanked in between can be a small coffee table height occasional table, providing a great surface to display more flowers or perhaps an after dinner cup of tea. 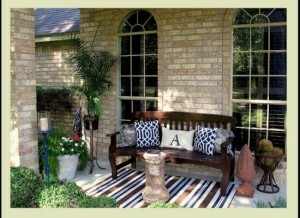 This beautiful wood bench looks great both indoors and out. As the focal point for this new home porch décor, accessorizing with boldly printed toss cushions which are very much on trend and stone garden stools and statues creates a majestic yet comfortable sitting area. The stripe area rug completes the look pulling all the elements together into a defined space. 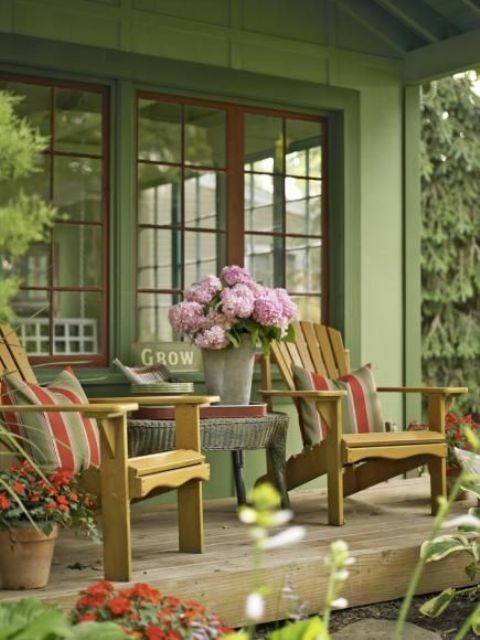 Even smaller new home porches which may lack drama can be brought to life in the summer with accessories like potted plants and an unexpected desk table. That old desk collecting dust in the basement can be painted white and used in a narrow space like this taking advantage of its shallow depth. 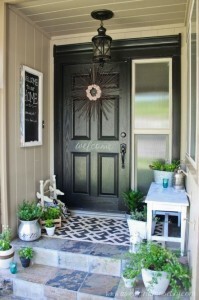 Adding unexpected elements like the table and starburst front door wreath create much needed drama and whimsy. 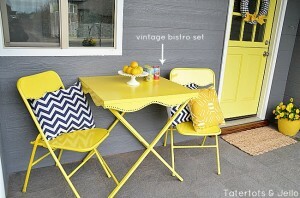 Sometimes a monocratic colour scheme can be just as adoring in your new home porch as vibrantly coloured ones. 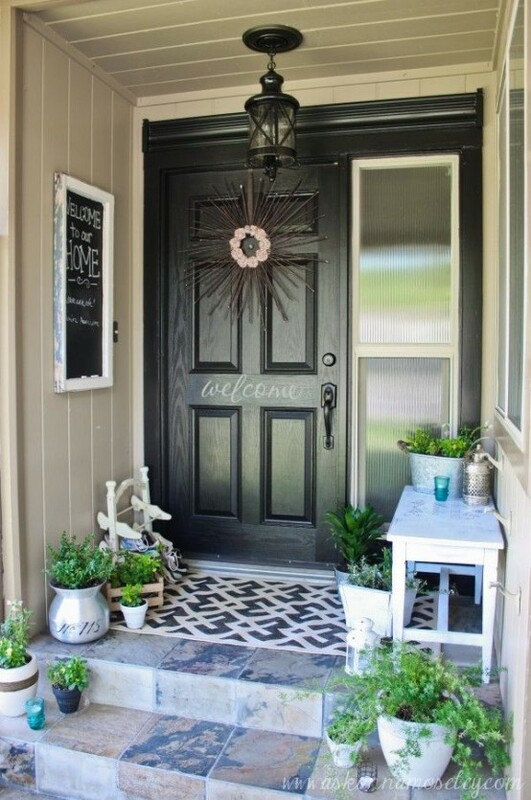 If you’re the kind of person who doesn’t tire easily from bold colour and you’re willing the live with the commitment, matching your front door to a boldly coloured porch feature is an exciting way to add drama to your new home porch. Perhaps you can spray paint a vintage inspired bistro set like this one the same colour as your front door for a slightly less subtle ounce of drama. 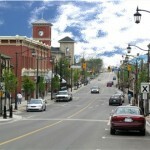 For more tips and new home decorating inspiration, be sure to visit the Mosaik Homes Facebook Page!